Cesc Fabregas is set for his home debut as a Monaco player, while Paris Saint-Germain look for revenge against their recent Cup conquerors Guingamp in Ligue 1 on Saturday. AFP Sport picks out four things to watch in France on a weekend that will be capped by Sunday’s derby clash between Saint-Etienne and Lyon. 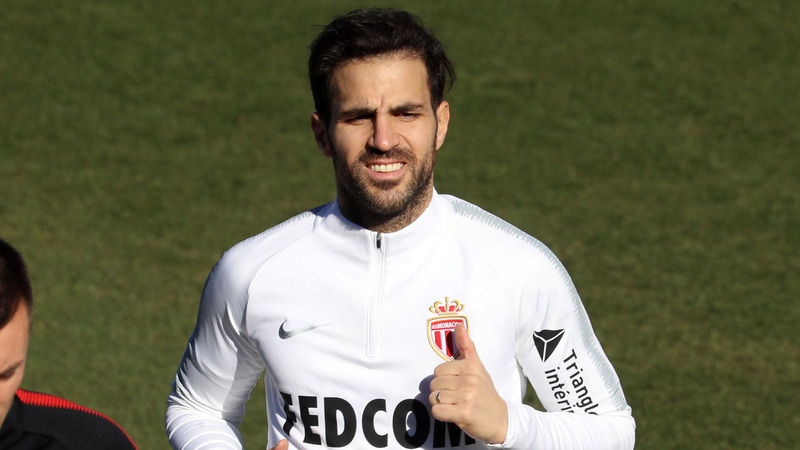 Cesc Fabregas got his first taste of the unusual experience of a matchday in Monaco in midweek, but the Spain star had to watch from the stands as Thierry Henry’s side drew 1-1 with Nice, coached by another former Arsenal star in Patrick Vieira. Signed from Chelsea last week, Fabregas impressed on his debut in a 1-1 draw at Marseille, but the 31-year-old was ineligible against Nice, a match that was originally due to be played in December before being postponed. Just hours after admitting to journalists it had been a wrench to leave the Premier League, Fabregas sat next to fellow new signings Naldo, Fode Ballo-Toure and William Vainqueur to watch the Cote d’Azur derby. Now the new signings are available again as Monaco host Strasbourg still searching for a first home win of the season as the relegation-threatened side look to climb the table. “With the new signings we are going to do some interesting things in the weeks ahead. I am convinced of that,” said Monaco’s French World Cup-winning full-back Djibril Sidibe. PSG have spent the week in Qatar, the land of their owners, a trip set up primarily to keep sponsors happy. Thomas Tuchel’s side did squeeze in some warm-weather training, but the capital club were also keen to point out that they became “the first football club in the world to take part in a traditional camel race”. 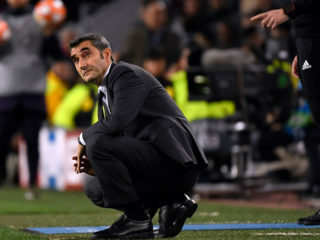 It remains to be seen whether that will have been the best preparation for a busy spell building up to the trip to Manchester United in the Champions League on February 12. On Saturday, PSG — still unbeaten in Ligue 1 this season and 13 points clear atop the table — host bottom-of-the-table Guingamp with revenge on their minds. Guingamp visited the Parc des Princes just last week and won 2-1 in a League Cup quarter-final, inflicting a first domestic Cup defeat on Paris in five years. The derby between Saint-Etienne and Lyon is the most authentic in the French game, and can be one of the most fiery anywhere in Europe. When Lyon won 5-0 in Saint-Etienne last season, a pitch invasion by angry home fans caused a lengthy stoppage before the final five minutes were played out in an almost empty stadium. Can Garcia survive at Marseille? It has turned into a wretched season for Marseille, last year’s Europa League runners-up. 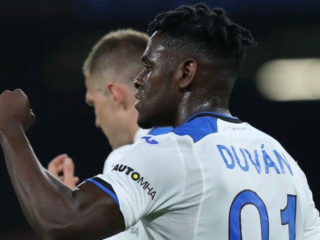 The southern giants have already been knocked out of both domestic cup competitions and the Europa League, and slumped down into mid-table on a nine-match winless run. The latest setback came in a 2-1 defeat at Saint-Etienne on Wednesday, when Dimitri Payet was left on the bench for the whole 90 minutes. The pressure on coach Rudi Garcia continues to increase ahead of Sunday’s game at Caen.